Wick is actually two towns. 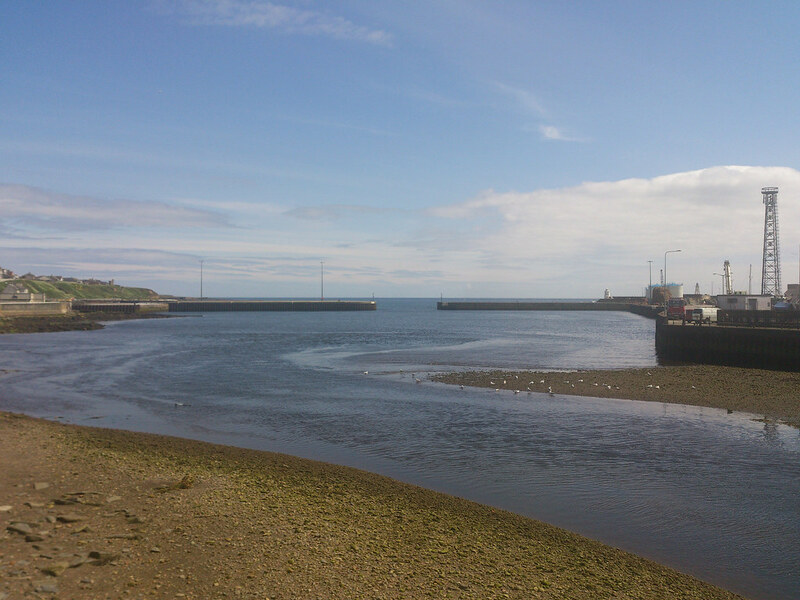 On one side of the river is Wick proper and on the other is Pulteneytown, the model town planned by Thomas Telford for the British Fisheries Society in 1806 to house evicted crofters who came to work here. 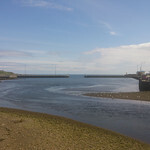 A century ago Wick was Europe's busiest herring port, its harbour jam-packed with fishing boats and larger ships exporting tons of salted fish to Russia, Scandinavia and the West Indian slave plantations. The fishing industry has long since gone, and the demise of the nearby nuclear power station at Douneray has only added to the sense of a place that's past its best. 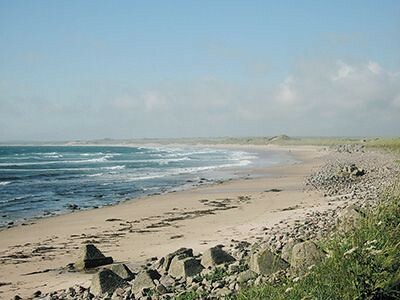 However, there are some interesting archaeological sites in Caithness, as well as the dramatic landscapes, and Wick makes a useful base for exploring the area. The best places to eat are also out of town. 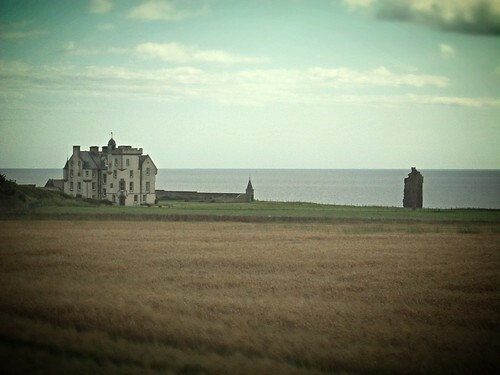 These include The Bower Inn and the Old Smiddy Inn, in Thrumster, 5 miles south of Wick, Tel. 651256, open daily 1200-2100. Probably the best place in town is the Queen's Hotel, on Francis St, Tel. 602992, which has a varied menu (mid-range). Alternatively, try Cabrelli's, 134 High St, a great caff serving pizza and fish and chips. A few yards away is Carter's Bar, which does pub food and is an okay place for a drink at night. 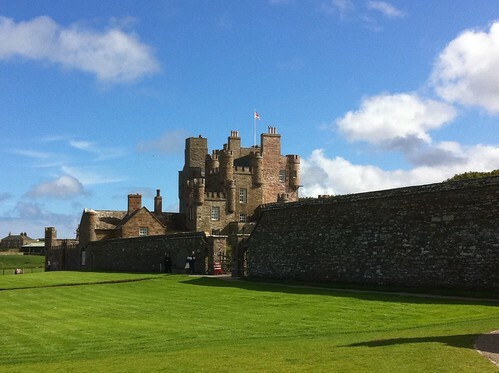 Wick has an airport, a few miles north of town, with daily direct flights to and from Kirkwall (Orkney), Sumburgh (Shetland), Aberdeen and Newcastle. The train and bus stations are next to each other behind the hospital. There are buses to and from Invernessand Thurso, and trains to Inverness. The Tourist Information Centre is on Whitechapel Rd (just off the High St), Tel. 602596. Open all year Mon-Fri 0900-1700, Sun 0900-1300. Air - Wick has an airport Tel. 602215), a few miles north of town, with daily direct flights to and fromKirkwall (Orkney), Sumburgh (Shetland), Aberdeen and Edinburgh with and British Airways Express, Tel. 08457-733377. Also direct flights to/from Newcastle with Eastern Airways, Tel. 01955-603914. There's a Postbus service to Wick airport Mon-Sat at 1015. Bus - Scottish Citylink, Tel. 08705-505050, buses between Inverness and Thurso stop en route in Wick (3 daily). 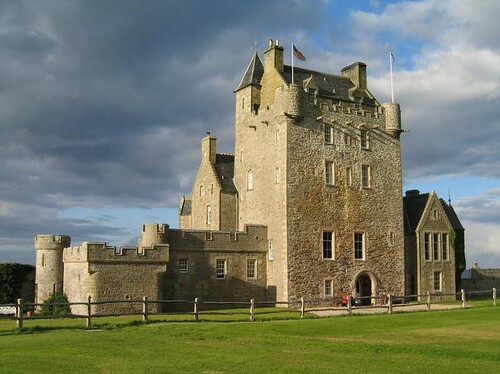 There are also regular local buses to Thurso, via Halkirk or Castletown, and buses to Helmsdale (2-6 times daily Mon-Sat, 1-4 on Sun) and John O'Groats (5 daily Mon-Sat, 4 on Sun). Car/bike hire - Richard's Garage, Francis St, Tel. 604123. Train - The train and bus stations are next to each other behind the hospital. Trains leave for Inverness (3 daily Mon-Sat, 2 on Sun; 3 hrs) via Thurso, Helmsdale, Golspie, Lairg and Dingwall. 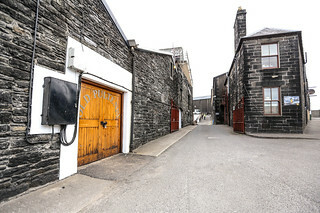 Pulteneytown is now a living museum of fishermen's cottages and derelict sheds and stores around the near-deserted quays. It gives a good idea of the scale of the herring trade during its heyday in the mid-19th century, when over 1,000 boats set sail to catch the 'silver darlings'. Here, on Bank Row, is the superb Wick Heritage Centre. The highlight of the centre is its massive photographic collection dating from the late 19th century. Info - Easter-Oct Mon-Sat 1000-1545, £2, children £0.50, Tel. 605393. 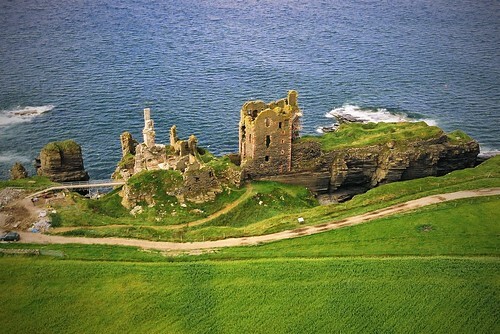 Three miles north of Wick are the impressive 15th-century clifftop ruins of Sinclair and Girnigoe Castle. On the A99 heading north out of town is the Caithness Glass Visitors Centre, where you can watch the famous glass being blown. Info - Mon-Thu 0900-1630. The shop is open till 1700. Tel. 602286. There is a good walk along the rocky shore east of town to The Trinkie, and about a mile further on to the Brig o' Trams. Ask for details at the TIC. 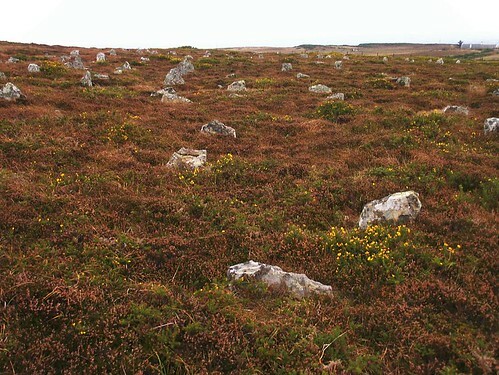 Before Wick, at Ulbster, is another archaeological site, the Cairn o' Get. Opposite the sign are the precipitous Whaligoe Steps, which lead down to a tiny, picturesque harbour. 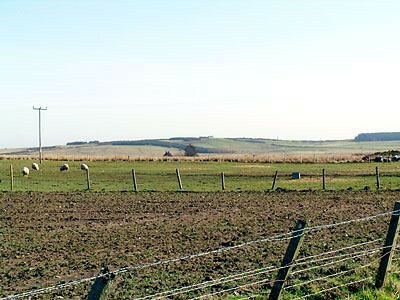 One of the most fascinating archaeological sites in the north are the well-preserved Grey Cairns of Camster. These chambered cairns, dating from the third and fourth millenia BC, are burial mounds of stone raised around carefully structured circular chambers with narrow entrance passages.To get there, head a mile east of Lybster on the A9, then turn left on to the minor road leading north to Watten. The cairns are five miles along this road, on the left-hand side. They comprise two enormous prehistoric burial chambers dating from 2500 BC. They are amazingly complete, with corbelled ceilings, and can be entered on hands and knees through narrow passageways. 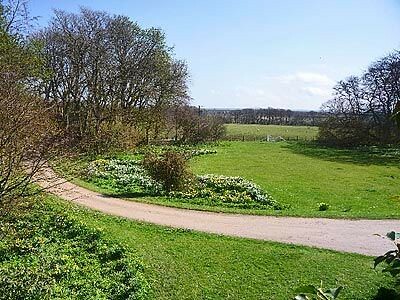 This is a modern, refurbished flat with sea views, comprising fully equipped kitchen, living room, bedroom and bathroom (with bath and shower). 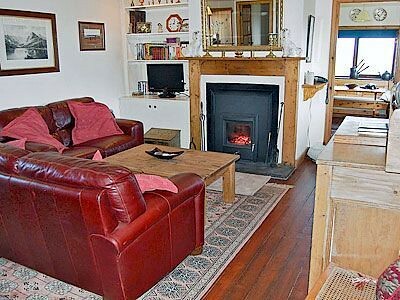 If you wish to stay in Wick, there's a reasonable selection of hotels such as Mackay's Hotel, Union St, Tel. 602323, Mackays Hotel, by the roundabout just across the bridge from the town centre. But you're better off going for the excellent Portland Arms Hotel, about 15 miles south, in Lybster, Tel. 01593-721208,Portland Arms Hotel A 19th-century coaching inn, full of character and offering great food (mid-range to expensive). 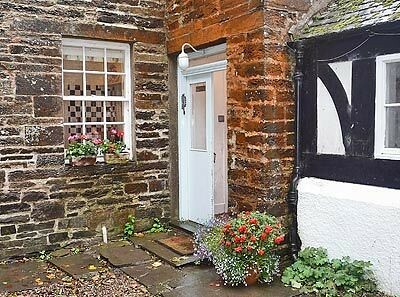 The best of the guesthouses and B&Bs are Wellington Guest House, 41-43 High St, Tel. 603287, open Mar-Oct; and The Clachan, on South Rd, Tel. 605384. Also good value is Greenvoe, George St, near the town centre, Tel. 603942.